Slots™ — Fever slot machines, has been overhauled to bring you the best in stunning graphics, hours of excitement, and most importantly FREE! With so many different realms in Slots™ — Fever slot machines excitement is at your fingertips as you move from one theme to another. 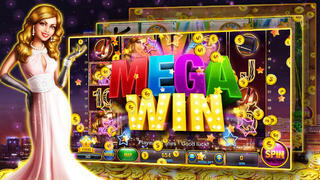 If you like REAL VEGAS slots game, Slots™ — Fever slot machines is your BEST CHOICE! — Various themes and realms to play slots! There are 5 reels — 3 symbols, 5 reels — 4 symbols, 3 reels — 3 symbols, consecutive symbols! WOW, sit back and enjoy the EXCITEMENT that comes with the feeling of the game! — Different ways to win! — Double / Quadruple your WIN! — BLACK JACK, Play with your Facebook friends and other players to WIN MORE CREDITS!